(Bloomberg) – Daniel Matjila, head of South Africa’s Public Investment Corp., has offered to resign from his role at Africa’s largest money manager, according to the country’s Ministry of Finance. The offer must now be considered by the PIC’s board and then approved by Minister of Finance Tito Mboweni, spokesman Jabulani Sikhakhane said by mobile phone. 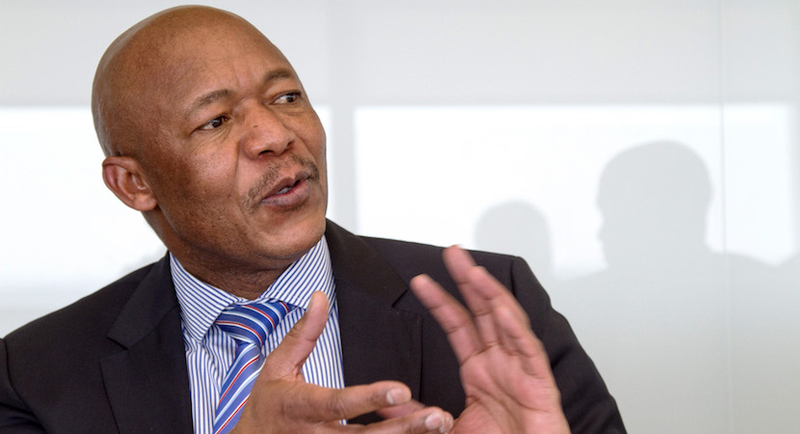 Under the terms of the plan, Matjila would officially submit his resignation at the end of January and then remain as CEO until the end of his notice period in April, Sikhakhane said. Matjila, 56, has faced calls to resign for his role in several investments by the PIC and amid allegations he used PIC funds to support the business of a woman with whom he was allegedly romantically involved. He has denied wrongdoing. Matjila, known by colleagues as Doctor Dan, has been an executive director of the PIC for 13 years. The PIC’s assets under management, which are mainly the pension funds of government workers, grew 8 percent to a record R2.08 trillion ($150 billion) in the fiscal year through March. A South African investigation into the conduct of Matjila found in October that he did not engage in corrupt activities or have a romantic relationship with a woman called Pretty Louw, Business Day reported, citing a report produced by advocate Geoff Budlender. Budlender did find that Matjila, under pressure from former energy minister David Mahlobo, inappropriately asked Lawrence Mulaudzi, a beneficiary of PIC funding, to give Louw financial assistance, according to the Johannesburg newspaper. There have also been allegations that some of the PIC’s investments were driven by political decisions rather than financial imperatives. President Cyril Ramaphosa last month named Judge Lex Mpati to head a full commission of inquiry into the PIC. Lawmakers have also asked the asset manager to provide more detail about its R70 billion of investments in unlisted assets, but the PIC has so far refused, citing client confidentiality. Parliament’s Standing Committee on Public Accounts has demanded the PIC provide details of these investments by Nov. 28 and wants the money manager to meet lawmakers again in December.